A few months back I posted how the city of Herculaneum had established an unusual camp site. Well, my hat is off to them again. Today, while driving through my old home town I noticed they had posted a stop sign ahead sign. I thought it was in an unusual place. 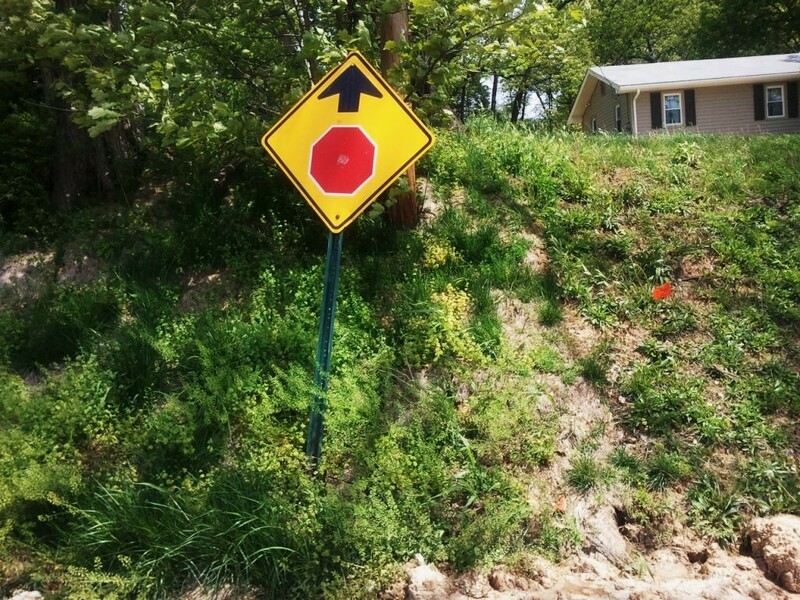 I guess they just want you to know that somewhere passed this resident's yard there is a stop sign.....somewhere. This is the picture of the day.